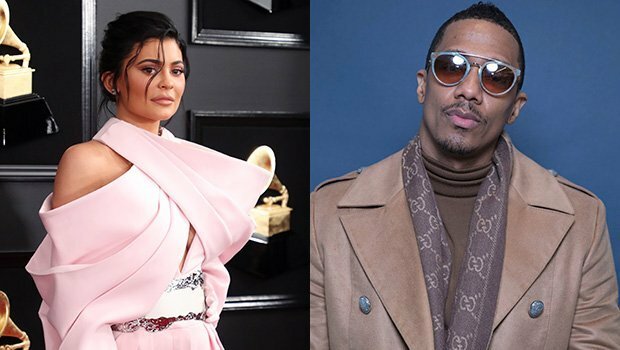 Kylie Jenner is well aware of the shocking disses that Nick Cannon has been publicly saying about her, and she’s already made up her mind on how to deal with the situation. Kylie Jenner, 21, and her boyfriend, Travis Scott, 26, don’t appreciate the comments Nick Cannon, 38, has been saying about the Keeping Up with the Kardashians star both on the Wendy Williams Show and social media, but it turns out they’re not going to let it bother them too much. Although Kylie was reportedly “hurt” over his words, she has decided to take the high road when it comes to the unnecessary drama and isn’t afraid of future interactions. Nick first gained attention through the comments on the show when he compared Kylie to 15-year-old Danielle Bregoli aka Bhad Bhabie on the Feb. 6 episode. “I’d rather my daughter go in this direction [be more like Danielle] than go in the Kylie Jenner direction,” Nick said during the segment. “That’s just me…this girl [Danielle] might have a bad mouth, she needs some guidance, she needs a whoopin But, at the same age, Kylie Jenner was getting plastic surgery.” He then seemed to diss her again when he responded to a fan’s comment on Twitter that seemed to throw shade at Kylie’s previous relationship with Tyga, which gained attention because she was only 17 at the time of the romance. “Nick you should have said you dont want you [sic] 14 year old daughter f***in no grown man,” the fan’s comment read. “Pretty much!!! You knew where I was going!! !” he responded.